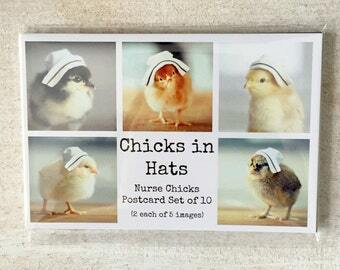 These adorable chicks in hats glossy postcards measure 4x6 and are blank on the backside. These postcard sets come packaged in a clear, cello sleeve for protection and will be shipped in a rigid mailer for safe arrival. You get a set of 12 different postcards of a chicks wearing a variety of hats. 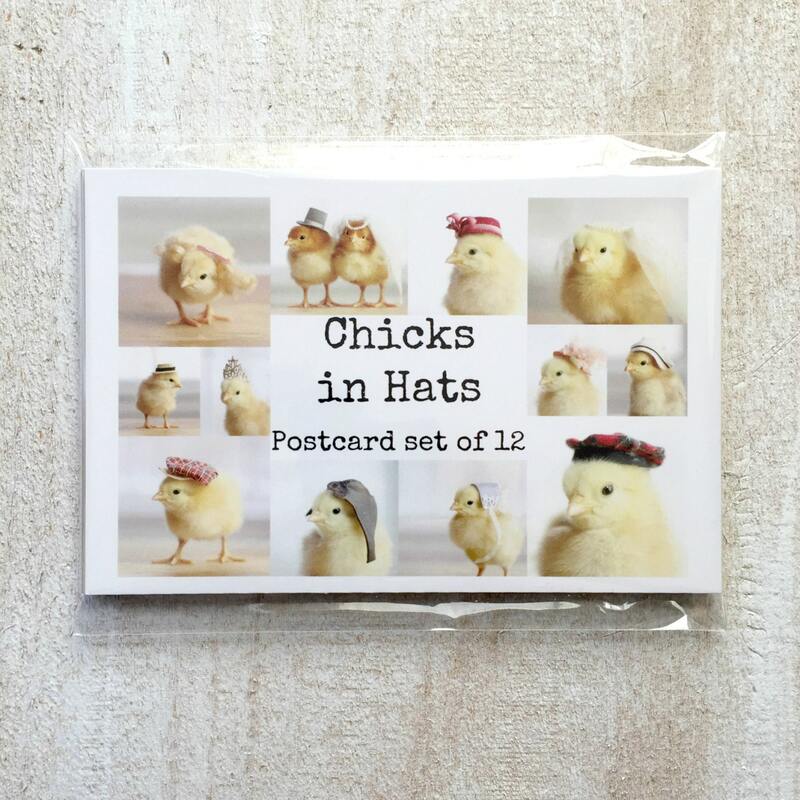 Love these and so do the post crossing people I send them to! These postcards are soooo cute! I use them for postcrossing, and they fit a lot of categories of postcards that people would like to receive. The maker sent them almost instantly and I received them in two days. These ridiculously cute postcards arrived quickly. It's been fun to share these with friends.